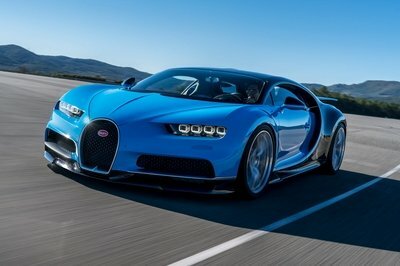 Although it has yet to launch the Chiron and the Veyron is sold out since early 2015, Bugatti has extended its presence in the United States by opening two new showrooms. Bugatti’s new dealers in North America are Manhattan Motorcars in New York and Braman Motors in Miami. 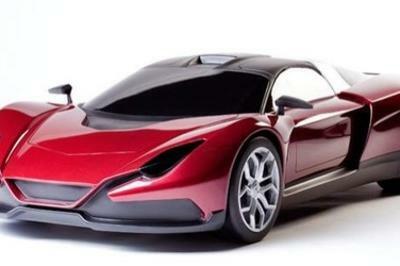 “North America is a very important market for Bugatti. About a quarter of our Veyron series, which is sold out, is located in North America and customers here are showing phenomenal interest in the next Bugatti super sports car," said Dr. Stefan Brungs, a member of the Board of Management of Bugatti Automobiles at the inauguration of the new showroom in Manhattan. 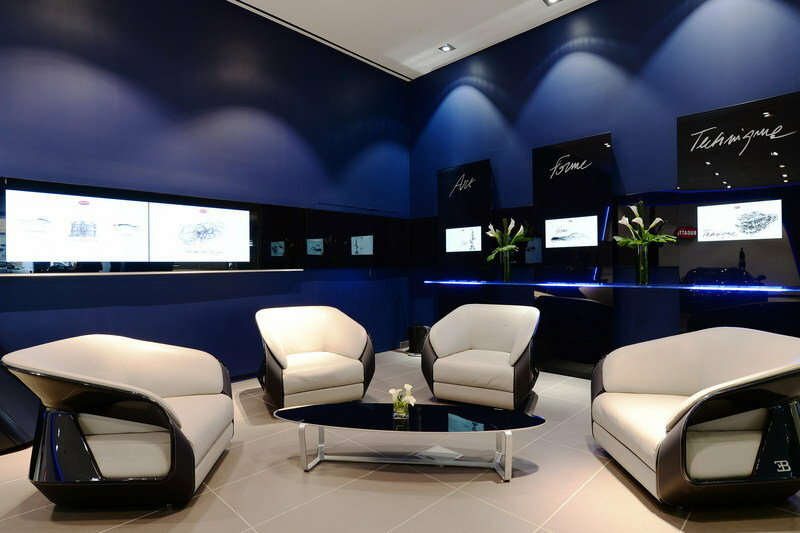 The new showrooms were used to introduce a new brand design developed specifically for Bugatti dealers. The dealerships are dominated by blue, the company’s official brand color, and complemented by distinctive lines and clear surfaces "reminiscent of Bugatti super sports cars." The concept includes a heritage section running films and animations highlighting Bugatti’s history, a comfortable lounge area with furniture from Bugatti Brand Lifestyle (including carbon-fiber armchairs), and adaptable background lighting with the company’s red oval logo. 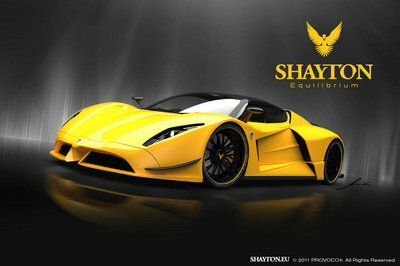 The new dealership concept will expand to other showrooms as well. With these two new showrooms, Bugatti now has 27 dealers in 13 countries. 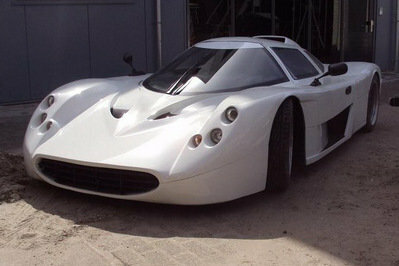 Further dealerships are due to open in Munich, Monaco, and Tokyo over the next few months. Granted, opening new dealerships when you have no vehicles to sell is awkward to say the least, but not when it comes to an exclusive manufacturer such as Bugatti. Given that its supercars fetch in excess of $1 million before options, the French need all the hype they can get, and these fancy dealerships are doing just that. Bugatti has yet to reveal when the Chiron will be unveiled, but Stefan Brungs did say that its development "is running at full speed." Given that prototypes have already been spotted in the open and that a competed car was shown to a limited audience at the Molsheim headquarters in July 2015, the Chiron could brake cover as early as 2016. Until then, Bugatti’s new dealerships in New York and Miami will probably work as pilgrimage sites for Bugatti enthusiasts and potential customers. Very little is known about the Chiron as of this writing, but recent prototypes suggest its exterior design will blend styling cues seen on the Veyron with those showcased by the Vision Gran Turismo concept car. 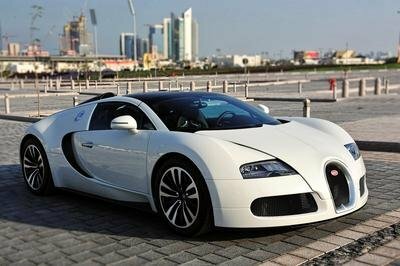 Motivation is likely to come from a heavily updated version of the Veyron’s 8.0-liter W-16, which could generate up to 1,500 horsepower and 1,100 pound-feet of torque. Word has it the Chiron will need only 2.5 seconds to hit 62 mph from a standing start, to go with a top speed of 286 mph. 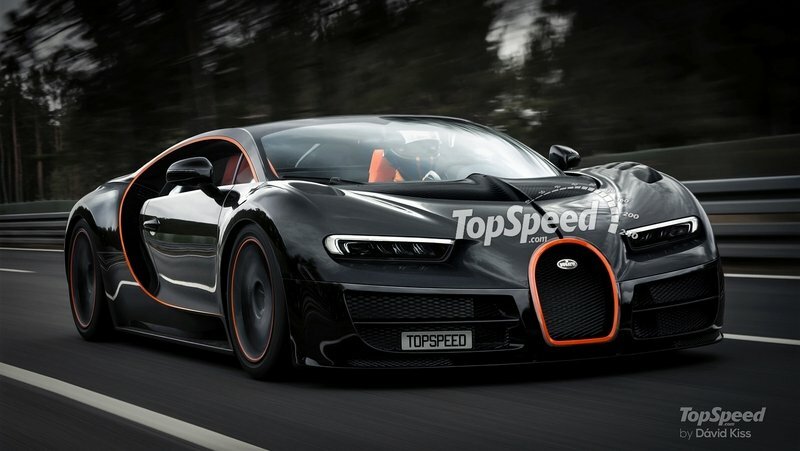 If this proves to be true, the Chiron will become the fastest road-legal production car in the world. Thursday night, Bugatti celebrated two premieres: The dealer partners of the French super sports car brand in New York City and Miami, Manhattan Motorcars and Braman Motors, opened the first showrooms in the world with the new brand design developed by Bugatti for its dealers. At the same time, Manhattan Motorcars moved to an attractive new location on Manhattan’s West Side, only a few blocks south of Central Park. In the near future, other locations around the world will present the new brand design as well. Currently, Bugatti has 27 dealers in 13 countries. Bugatti Manhattan has a showroom area of 92 m² (almost 1,000 sq ft) at 711 Eleventh Avenue. Bugatti Miami now has a showroom with an area of 240 m² (almost 2,600 sq ft) at its well-known address at 2060 Biscayne Boulevard. 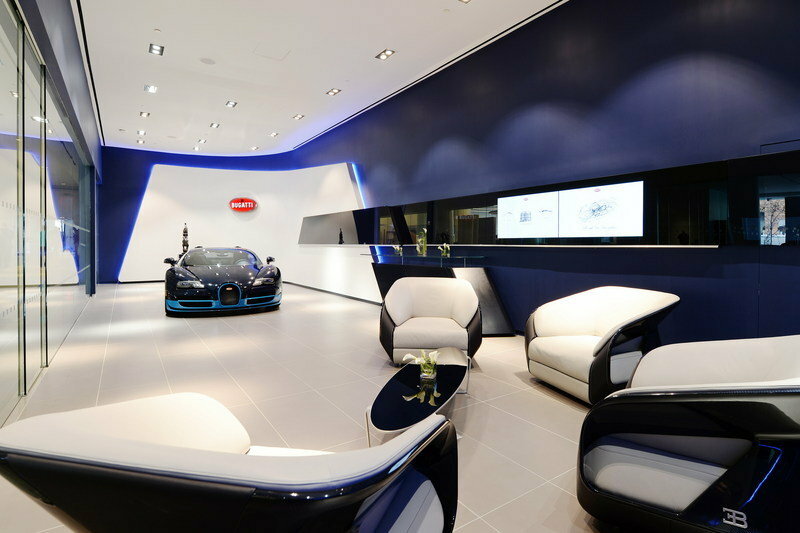 The new showroom concept was developed to provide visitors to dealerships throughout the world with the special brand experience that customers and guests enjoy at Bugatti’s headquarters in Molsheim, France. The newly designed Bugatti showrooms are easy to recognize; the contemporary presentation is dominated by blue, Bugatti’s brand color, with distinctive lines and clear surfaces reminiscent of Bugatti super sports cars. There is a heritage section devoted to the brand values of Bugatti. In Manhattan and Miami, three wall-mounted steles each highlight one of the three facets. Each stele has a monitor with films and animations presenting the brand value concerned. The digital content is underscored by impressive exhibits in a presentation area. Product information and presentations as well as highlights from the history of the Bugatti marque can be called up on a horizontal communication strip running along the wall. In addition, customers can configure their new Bugatti here. The whole system can be controlled intuitively from an iPad or tablet after customers have taken a seat in the comfortable lounge area. The lounge features furniture from Bugatti Brand Lifestyle designed especially for the brand’s new showrooms. The customized, authentically-shaped armchairs are made from the finest leather and blue exposed carbon fiber with high-grade materials and workmanship like those used for a Bugatti super sports car. The sides are decorated by the EB logo. A white brand wall with sweeping curves and adaptable background lighting with Bugatti’s red oval logo, the so-called macaron, forms the backdrop for the star of each showroom – the world’s most powerful production super sports car. Further showrooms are due to open in Munich, Monaco and Tokyo over the next few months. With 27 dealers in 13 countries, Bugatti is now a global player.